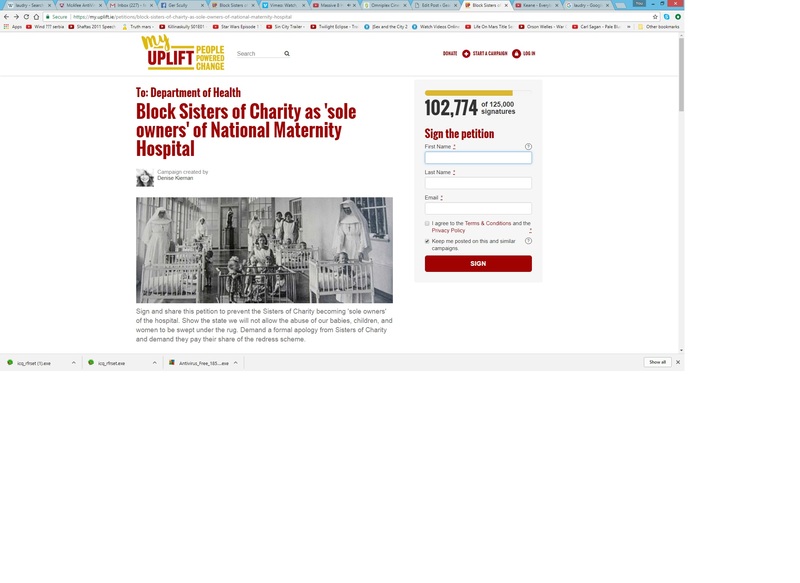 In the news recently is the proposed new maternity hospital which is to be built in Dublin. It has raised hackles due to the fact that the ownership is in question, despite the taxpayer forking out some three hundred million to construct the hospital. it is to be owned by the nuns-sole owners (the sisters of charity to be exact) for supplying the site on which the hospital is to be build. This doesn’t sound like much of a deal for the taxpayer who is supplying all the funds and has nothing to show for the all that is to be spent. One wonders who would make a deal like this in this day and age. Our government seemingly does these sort of things i.e completely reckless with public funds and with the whiff of a scam as well. The religious have not got good press of late with the scandals of the Magdalene laundry’s and the mother and baby homes particularly Tuam. The nuns have no right to a public asset or public funds for that matter. The taxpayer should not be ripped off in this matter. Previous Previous post: Stakeknife Investigation & Cover up. Next Next post: Were Computers more fun. More on the National Children’s Hospital. Nurse’s Strike, New Children’s Hospital & the Health Service. admin on Simon Coveney & the North. Clement Connaughton,Tobberavaddy,Athleague,Co,Roscommon. on Simon Coveney & the North. admin on Donegal Hotelier flies the Union Jack.